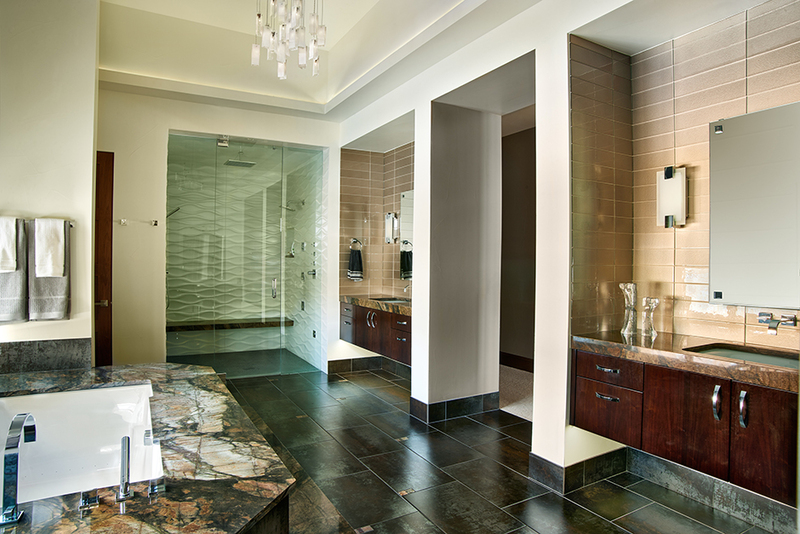 Cindy McCoy Designs, designed a former NBA players home in Denver, Colorado utilizing several Porcelanosa products. 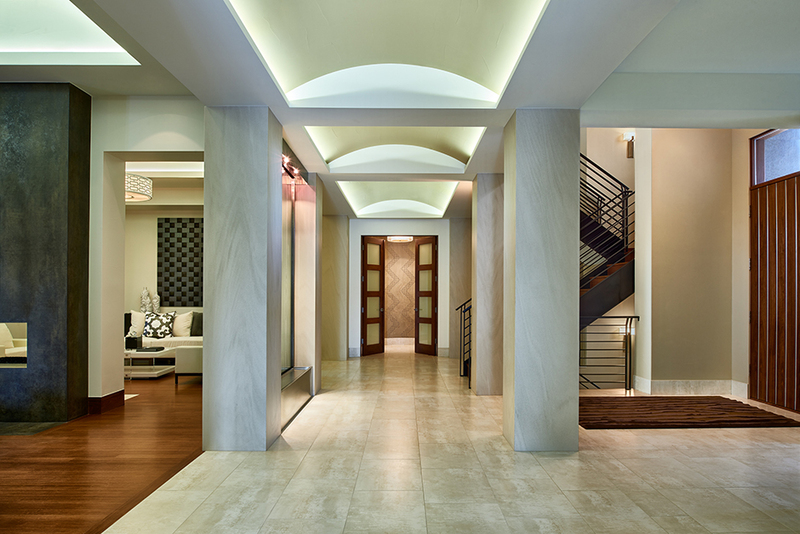 The 14,000 sqft contemporary home features 6 bedrooms, 10 bathrooms, a home theater, 4 fireplaces and a 7 car garage. The home is completed by extending the living space outside, with a pool, hot tub, fire pit, two barbeques, custom fireplace and a full sized basketball court. Porcelanosa tile ‘Ferroker Laton’ helped to create a bright and inviting corridor, whereas ‘London Nacar’ and ‘Ferroker’ were paired together in the master suite creating stunning contrast between light and dark.